The Sniper series is the lightest and most common style of sticks used among the best players in the world. The blade has been over hauled since our Elite series. You will now see a new texture design as well as a stiffer blade for an even better feel and control of the puck while stick handling and shooting. The low kick point and the rapid release taper help to get the puck on and off your stick faster and more accurately than ever before. Lastly, the Sniper series comes with a new tack grip and comes in an 18k Carbon fiber design. 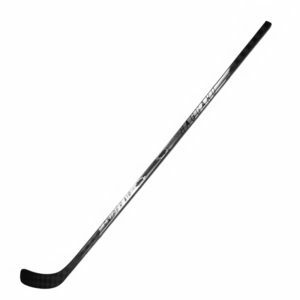 Youth sticks come 45″ long and in 35 flex and Junior sticks come 50″ long and in 45 flex. 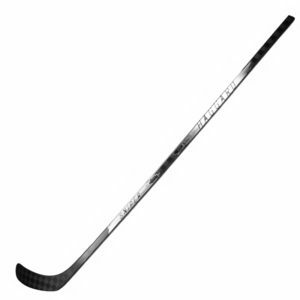 All of our sticks are “True One-Piece” Torey T700 carbon fiber hockey sticks. This isn’t the easy way to make a hockey stick, it’s the right way! The attention to detail in these sticks requires a new mold for every single curve pattern for both left and right handed players. The entire stick is created at the same time allowing for better energy transfer to both the player and the puck when shooting creating a better feeling and a more powerful and accurate stick. Very few and only the best sticks are made this way! Height and feel should play a big factor in selecting a stick. Also, if cutting the stick remember the flex will go up 10 for every 2 inches you cut off.